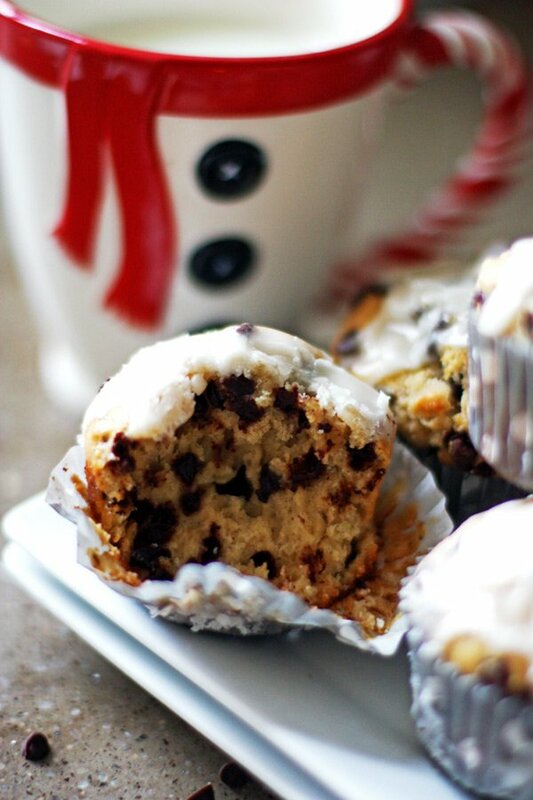 One of our favorite weekend breakfast recipes…Banana Nut Chocolate Chip Muffins! 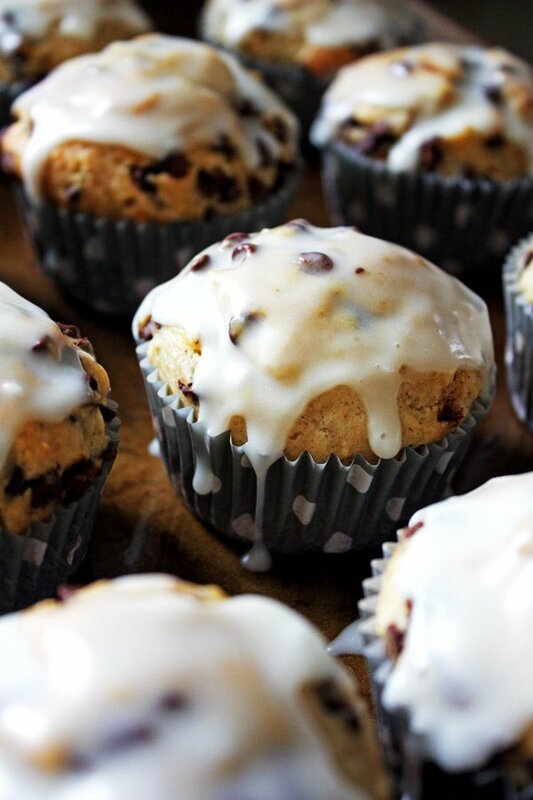 These muffins are one of those recipes that are even better the next day! We try to have something fun for breakfast on the weekends when we can. This one is a recipe that we make often on those weekends. There is something about banana and chocolate together…Yumm! To make these, combine the flour, sugar, baking powder, salt, cinnamon and softened butter using either the back of a fork or pastry blender. To be sure your butter is soft enough and will work well, gently press down on the butter. If you can make a fingerprint indentation that is a sign you are good to go! It’s also a good idea to let your eggs and milk sit at room temperature for about 30 minutes. This way they will blend in better with the other ingredients. Place the mashed banana into a large mixing bowl. Add the eggs one at a time, beating after each one is added. Add in the milk and vanilla. Mix well until ingredients are blended well. Slowly add in the flour mixture with your mixer at low speed…so you don’t end up with half the flour all over the place! ;o) Mix just until the ingredients are combined. 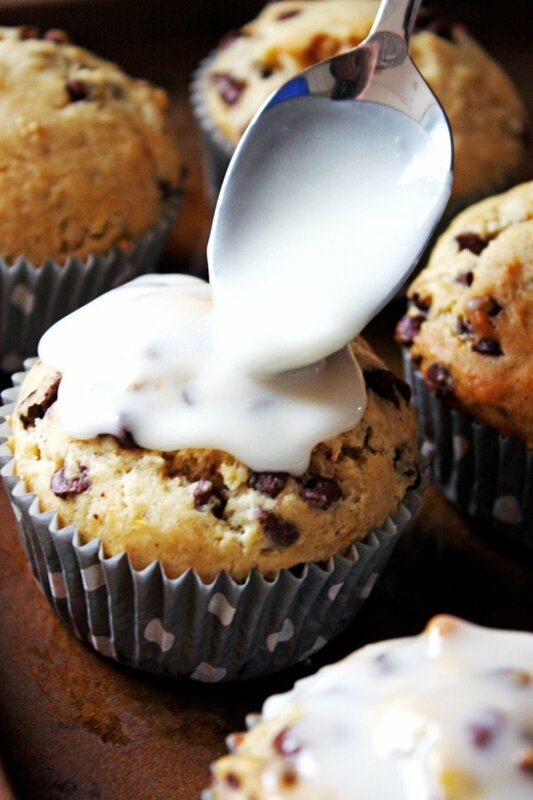 With muffin batter, it is important to not over mix it. Add in the chocolate chips and chopped walnuts. I like to use mini chocolate chips in muffin mix but any chocolate chip to your liking will do. Mix only for about five seconds, just until they are mixed in well. So a little tip I learned and want to share is how to get the muffins to look like bakery style muffins. Using high heat in the beginning lifts the muffin top up quickly making a nice muffin top. 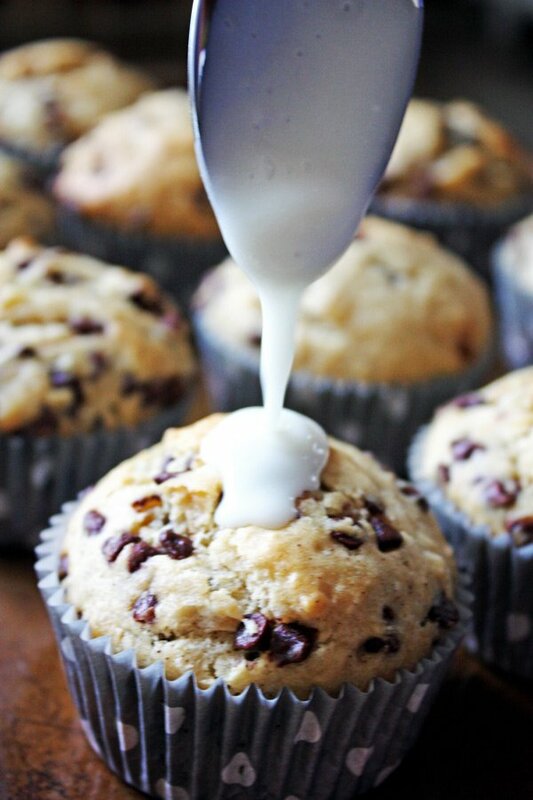 Doing this and filling your muffin cups to the top makes them look just like bakery style muffins. I tried it without filling them to the top and the result was not the same. So, make sure you do fill them up to the top. Once your oven is preheated to 425 degrees, line your muffin tins with the liners. Fill up each cup all the way to the top. I use a cookie scoop that measures ¼ cup of dough in each scoop which fills each muffin cup perfectly. Bake them at 425 degrees for 5 minutes. While they are still in the oven, reduce the temperature to 375 degrees. Bake them for an additional 13-14 minutes. You can check them with a toothpick to make sure they are done. When the muffins are just about done, prepare the glaze. Melt the butter and quickly add in the powdered sugar and milk. Whisk together until you have a good glaze consistency. Take the muffins out of the muffin tin carefully, as they will be hot. I use a fork to lift them out. Line them up and using a spoon, pour the glaze over them while they are still warm. Using the back of the spoon, spread out the glaze if needed. Let them sit just so the glaze can set. In a medium bowl, blend together the flour, sugar, baking powder, salt, cinnamon and softened butter with either the back of a fork or a pastry blender. Set aside. Mash up the bananas and place in large mixing bowl. Blend the dry ingredients with the banana mixture just until mixed completely. Do not over mix. Add in the chocolate chips and chopped walnuts. Mix in for only about 5 seconds. 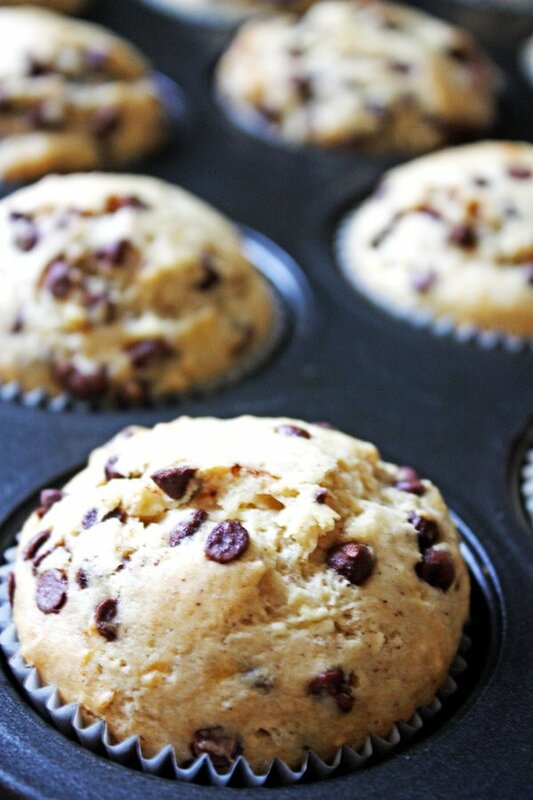 While muffins are still in the oven, reduce temperature to 375 degrees and bake an additional 13-14 minutes. When the muffins are just about done make the glaze, if desired. To make the glaze, melt the butter and quickly add in the powdered sugar and milk. Whisk together until you have your desired glaze consistency. 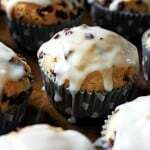 I stumbled on this blog while looking for a good banana walnut muffin recipe. I ve made banana walnut muffins before and they were good but these ones are freaking fantastic!!! My boys ages 5 and 12 even said they were the best ever!! Thank you for sharing! I am so glad you loved them! Your boys commenting on them made my day! :o) Thanks so much for letting me know how much you liked them!